Left work: late. First stop: closed 5 minutes ago. Second stop: 10 minutes away but expected 10 minutes ago. Third stop: forced by a lumbering train in no particular hurry. Reminder: slow down, breathe, relax. 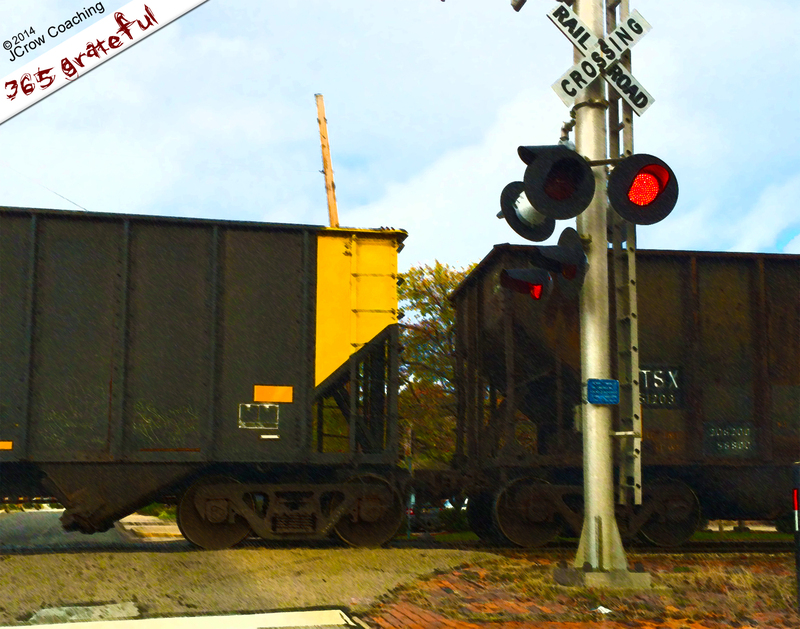 Grateful: for the squeaking of wheels and clanging of couplings that lulled me into a more mindful place.